Prepackaged Wall-mount Air Conditioned Enclosure - 72" x 30"
EIC’s Protector 1G7230 Series™ Prepackaged Wall-mount Air Conditioned Electronic/Electrical Equipment Enclosures are designed to safely house AND COOL your electrical controls, instruments, cameras, telecommunications equipment, surveillance devices, DVR’s and other electronics in a variety of harsh environments. Enclosures are suitable for wall-mounted, pole-mounted or floor-mounted applications and are available with a variety of options. 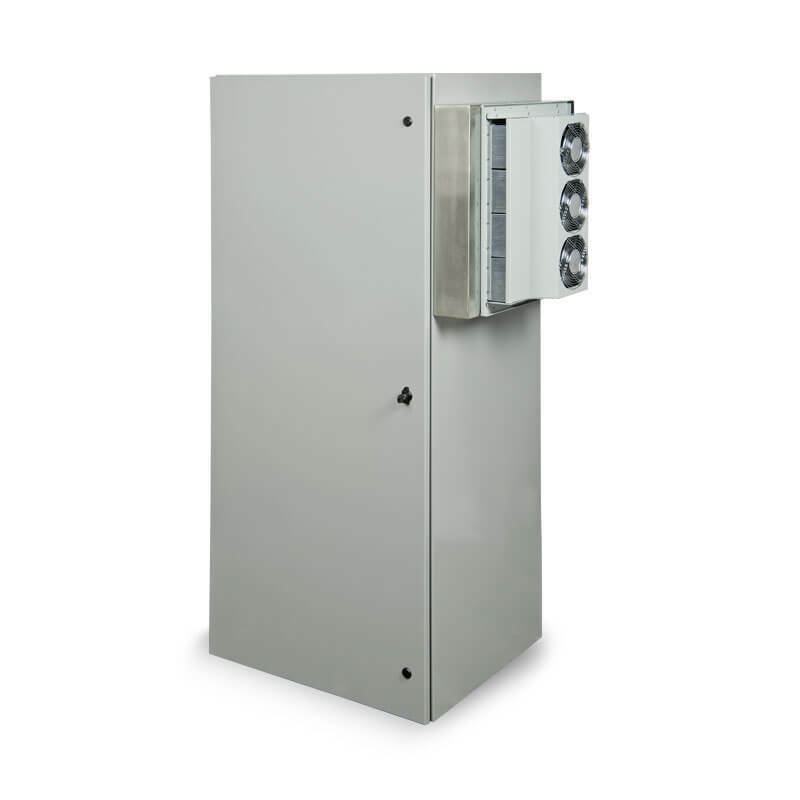 A built-in thermoelectric air conditioner provides the cooling needed to maintain safe temperatures within the enclosure. Since the air conditioner needs no maintenance, they are perfect for remote-mounted systems. Prepackaged wall mount enclosures are shipped as a complete package with no assembly required.